It has been five days without Facebook. FIVE days. That is 120 hours. 7,200 minutes. 432,000 seconds of my life since I have last been on Facebook. In all honesty, I haven’t noticed. I have been very busy with my school work that I have not really had the time to go online and check it. My problem with Facebook was the app. I was smart and deleted it off my phone. I do feel a little weird in the mornings when all I have to scroll through is my Twitter feed and my Instragram pictures. But hey, I get over it, and probably start my day five minutes sooner than I would if I were to be laying in bed checking Facebook. The only thing that I really miss is the fact that I am way out of the loop. My sorority has its own secret page on Facebook that many things get posted in daily. For example, we had a social last night and I had no idea that there was a social scheduled because I was not able to check my Facebook. I know I have sisters to tell me what is going on but I don’t want to be annoying and keep asking them, so, I just have been winging it. 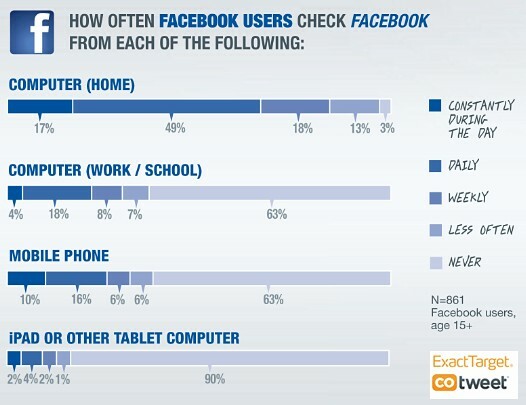 People’s addiction to Facebook is unreal. These people have no idea how much other, more important things that they can be getting done if they were not so concerned about Facebook. Facebook, along with other social media website are becoming more prevalent in interviews. Your interview can be going great then suddenly your future employer will ask you if you have a Facebook. (You can’t lie because you know they already know the answer!) You say yes and they ask you to log in. They will go through your Facebook right in front of you, and this social media site can potentially cost you your job. All in all, I believe that Facebook can be all fun and games if you are smart about it. Not too many people know how to act responsibly on social media sites. Sure, it is a great way to stay in touch with your aunt from Wisconsin, but then you have to think, Do I really want Aunt Debbie seeing me funneling a beer from this weekend? If the answer is no, like it should be, I would suggest taking the picture down.